Is it a Linn or An Ariston ? Question: When is an Ariston a Linn ? Answer: When It’s a RD11!! There is an important distinction to be made between the Ariston RD11 and the Ariston Audio RD11s. The Ariston RD11 was produced in 1971 by Castle Precision Engineering Ltd for the late Hamish Robertson who had formed Ariston in 1970. Hamish, along with Ivor Tiefenbrun and Ivor’s late father, Jack Tiefenbrun (Castles owner) developed the design which featured a single point main bearing. The turntable was shown at the Harrogate show in the UK that same year and was distributed by C. J. Walker and Company. 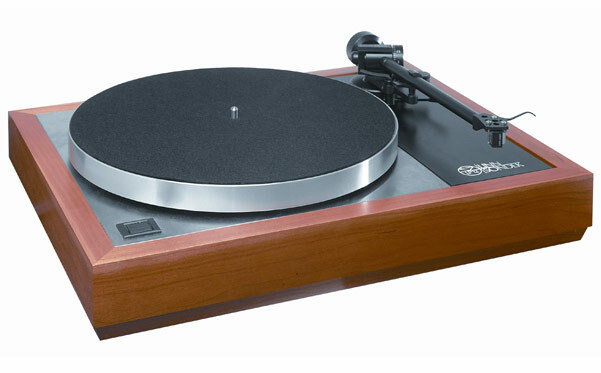 In February of 1973 Linn Products Ltd. was formed to sell turntables made by Castle Precision Engineering. Robertson left Ariston, which had been taken over by Dunlop Westayr Ltd and reorganised as Ariston Audio Ltd. The more commonly available RD11s was produced by Ariston Audio Ltd. and shared a very similar 3 point suspended, kite shaped, subchassis but featured a captive ball bearing, round arm board and right hand mounted power switch. The top plate extended to all four edges of the plinth but included black trim on the right hand side to simulate the previous designs retangular arm board. An acquaintance of mine owns an original Ariston RD11 and, except for some minor plinth cosmetic differences, it is the exact equivalent of a 1973 vintage Linn Sondek LP12. In fact that same RD11 now sports a Valhalla board, Nirvana kit and strengthened subchassis and sounds like any other early ’80s LP12. My opinion is that in the early days Linn attached a lot of importance to the fact that their main bearing was an expensive single point type even to the extent of filing for patent protection and fighting off the opposition to said patent publication that was lodged by turntable manufacturer Fergus Fons Ltd. and the late William James ‘Hamish’ Robertson. I believe that the Linn bearing exhibits excellent performance because it is a highly specified, precision machined, set of parts that fit together with very close tolerance and run true. The fact that it also incorporates an expensive to produce tapered spindle likely plays a part in its ultimate performance, but how much of said bearing performance is actually due to that one feature? One must remember that a traditional oil in well bearing is generally made up of a spindle with some form of pivot point at the lower end, a surface that the pivot rotates upon (the actual bearing surface) and a surface or surfaces that the spindle shaft rotates against that keeps it centered as it rotates (the metal or plastic lined sleeve of the bearing well shaft). The quality and tolerance of all of these parts determine the overall bearing performance with respect to friction, free play, running true, noise etc. There are many examples of turntable designs that do vinyl replay rather well with highly specified captive ball bearings. If you are not using a Linn turntable then you are likely as not using one of these bearing types. All of the Ariston Audio captive ball bearing turntables that I have come across appeared to have excellent bearing performance with negligible free play and little if any precessing (wobble) during play. Whether they were as good as the Linn bearing of the time is debatable, however the money saved using a well engineered captive ball bearing can be spent elsewhere, witness the Rega P9. Many turntable designers have at one time or another admitted that a turntables performance is most affected by bearing quality, followed closely by motor performance. The rest as they say is ‘icing on the cake’. Linn’s reference standard transcription turntable, the Sondek LP12 delivers unrivalled musical reproduction to get the most from your cherished vinyl collection.